The council has blamed a shortage of housing for Brighton and Hove’s high rate of homeless children. Research by housing charity Shelter said Brighton and Hove had the highest rate of child homelessness in the south east, with 1,999 young people under 18 homeless or living in temporary accommodation. That’s a 74 per cent increase since 2013, and Brighton and Hove, one child in every 25 is considered to be homeless. 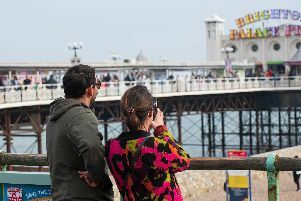 A Brighton and Hove City Council spokesperson said: “We have a huge shortage of housing in Brighton & Hove and the pressure on housing is higher in the city than most other areas. “It’s an extremely sad situation and we’re doing everything we can to address this, including currently exploring all potential sites in the city to build new homes. “The majority of our temporary accommodation is good quality self-contained houses and flats. However, there are still a number of households in short term and emergency accommodation and we are looking at how we can help families to resolve their housing situation as quickly as possible.